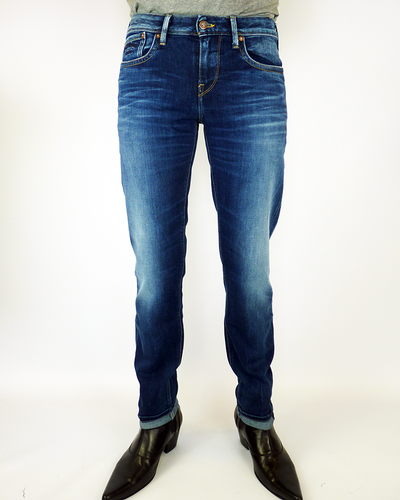 These 'Freddie' Luke Denim Slim Straight Raw Jeans are made in the UK. Great raw indigo colour, durable denim and with an undeniable Indie charm. Fusing Retro denim styling with a contemporary finish, 'Freddie' Denim Jeans go great with both shoes or trainers - by Luke Denim. 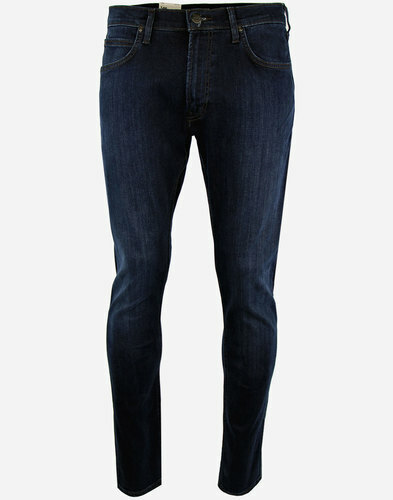 Luke Denim 'Freddie' Slim Straight Jeans. Made in the UK. Clean, sharp styling and raw denim fabric make for that traditional Mod look. Contrast Retro stitch detail, 5 pocket Western style. Metallic rivet detailing to pockets, rivet stud closure to waistband and fly. 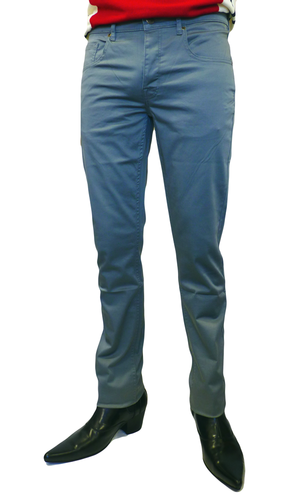 Plain back pocket to emphasise that clean cut. 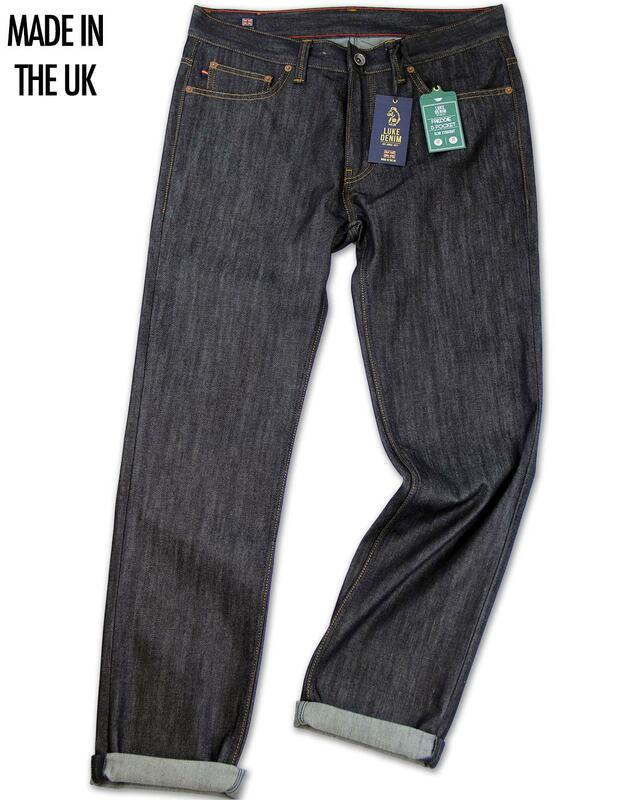 Luke Denim 'Freddie' Jeans are Made in the UK. A hint of strtech for comfort. 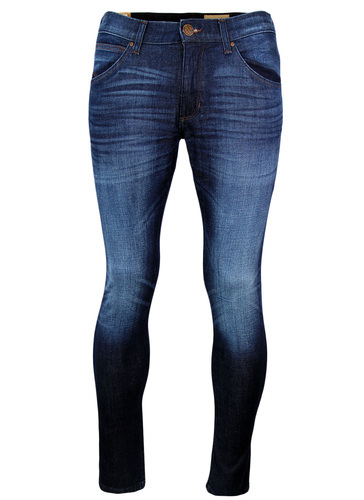 SKU: M280501 'Freddie' Luke Denim Made in the UK Jeans. 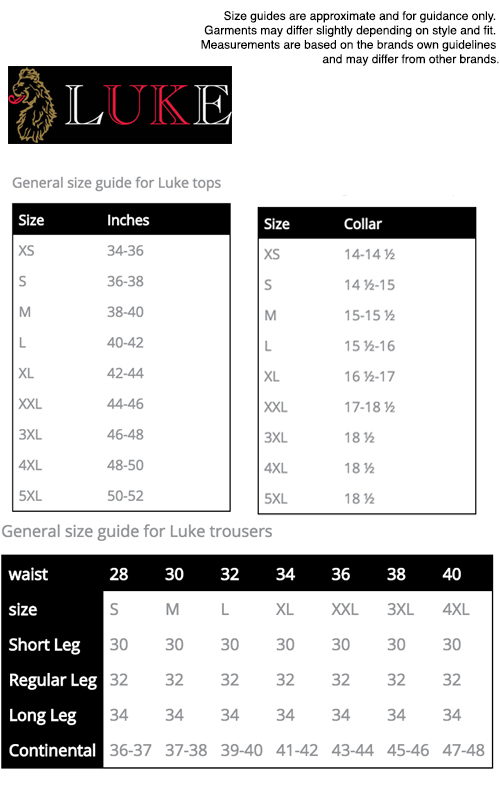 Choose waist and leg length to fit.